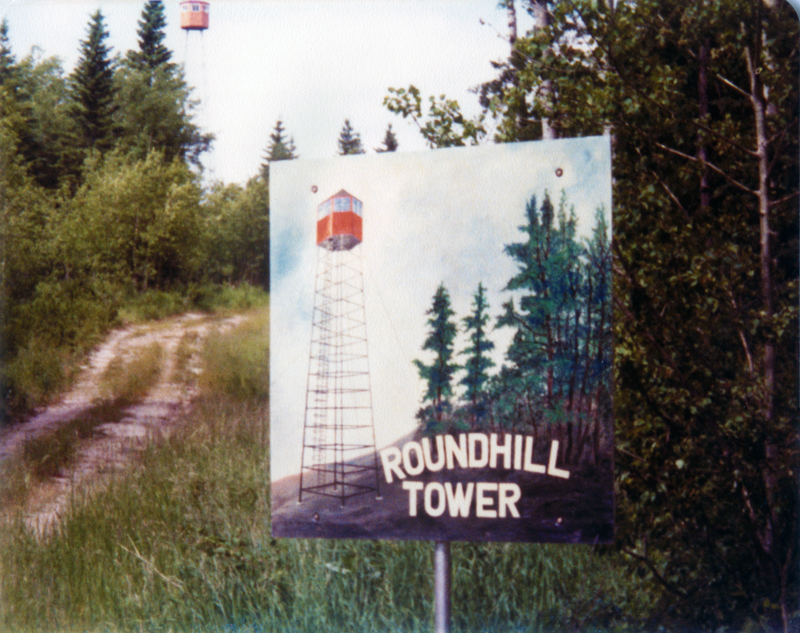 On one of many family voyages up and down the Hanson Lake Road we stopped to visit Narrow Hills Provincial Park and Roundhill Tower, a fire lookout. I shot this in 1984, not with the Kodak 110 I've blogged about before, but with my first 35 mm camera. I don't remember the brand name, but it was made of green and black plastic and not particularly durable. I tried to clean up the image a little with Photoshop, but the colours remain somewhat faded and bland, which I suppose reveals both the limitations of cheap cameras, image correction software and most importantly, unsophisticated young photographers. I imagine I was trying to be recursively clever, framing the actual tower behind the painting of the tower; perhaps I thought the real tower's proximity made the painted sign rather redundant. "Here is a painting of Roundhill Tower. If you shift your attention slightly, you'll see the real tower in the distance. Walk up this hill for an even better view!" Silly. I'm rather annoyed that 15 year old Earl lopped off the top of the tower with this clumsy composition, but I'm glad the photo exists anyway because it reminds me of one of Dad's most amazing stories: the time he fell all the way down the ladder of a similar fire tower. That tale still makes me wince!